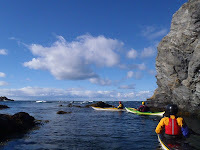 Following the yoyo forecast recently has made deciding on adventures even more interesting. 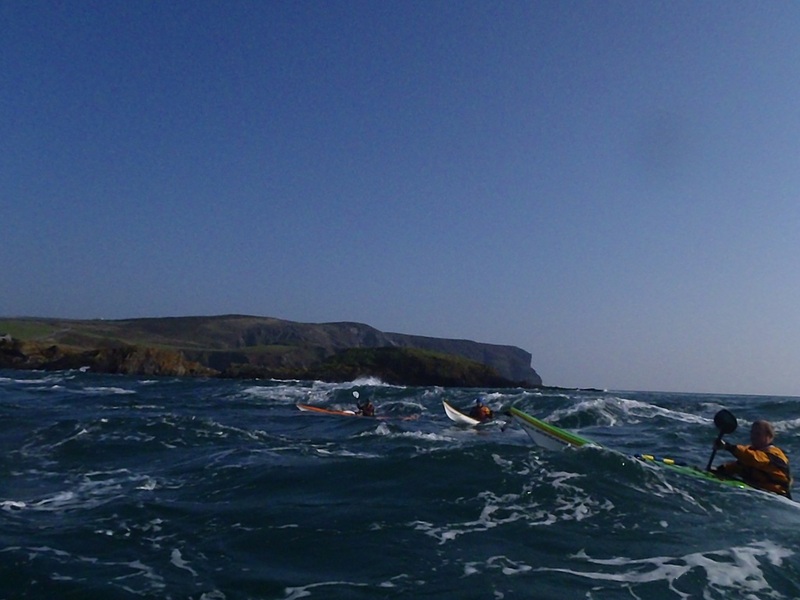 Sunday's Intermediate session ran from the Sound, directly into the tidal races, and the strong wind dropped totally leaving perfect wave trains conjured by the Spring tides. 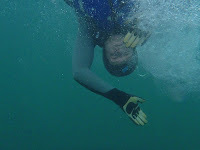 Anouk was down taking a few pics too, cheers for these! 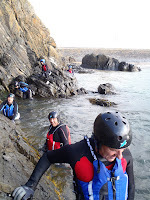 Yesterday's Coasteering session was a remarkable one. 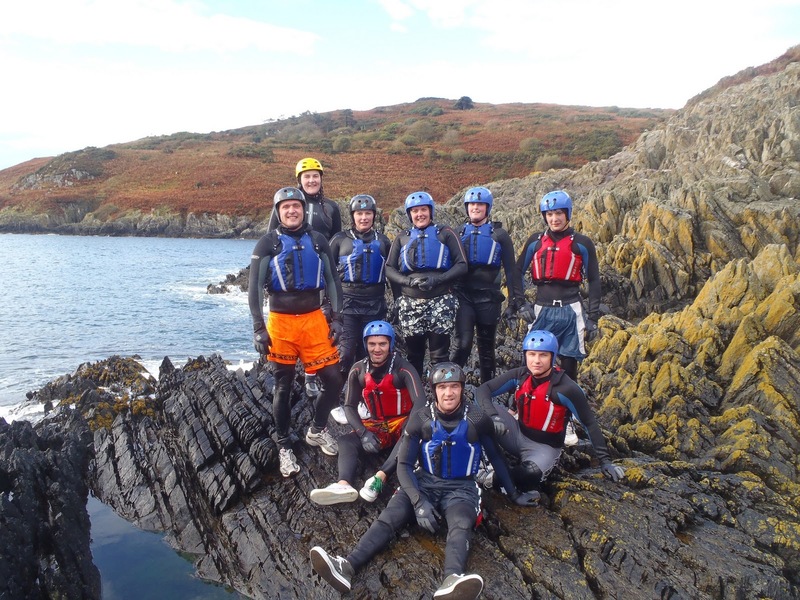 A few of the lads who have experienced some of our more demanding sessions, wished to introduce their partner's and friends to the delights of Coasteering... on an introductory session. 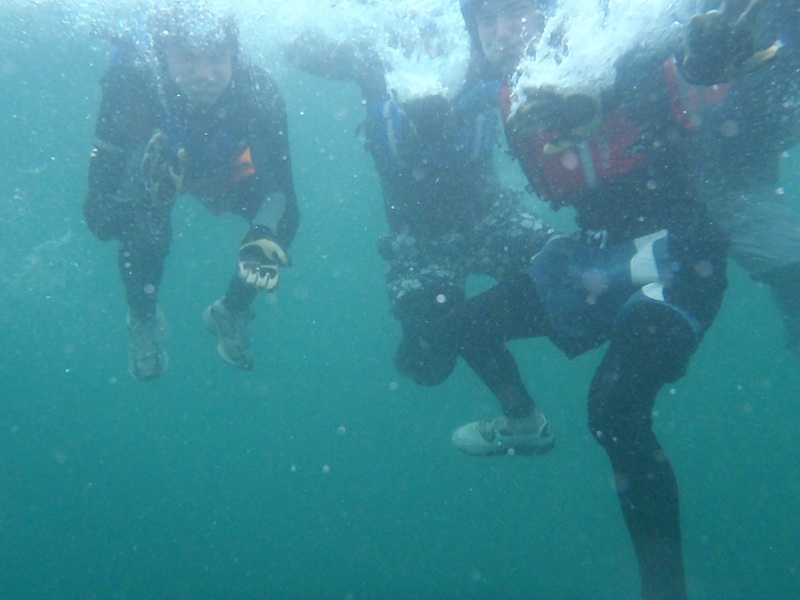 Getting wet is one of the few things we can guarantee! 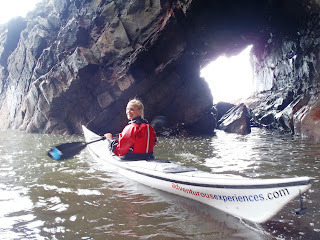 Along with an Unforgettable Adventurous Experience! 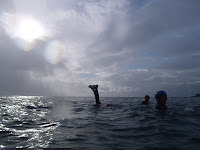 The Sea temperature is presently 13 degrees - so its warmer in the water than out! A surprise Birthday party was in store for Helen who was blindfolded from her home until meeting us at the location. She soon put two and two together despite it being the earlier 10 o clock... and got fully into the adventure! Can't wait to introduce you all to Coasteering and Sea Kayaking as well! 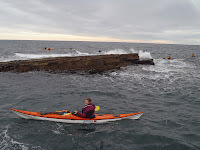 Sunday's paddles set out from Port St Mary, splitting the morning session into two working groups. 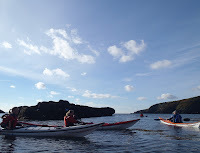 Congratulations to Adventure Club members; Cheryl, Rach, Chris and Ali who completed their BCU 1 Star Awards on Sunday, well above the level required, as they've been concentrating on the 2 Star syllabus, and all performing well. Janet has been delivering this coaching course and the results are excellent. 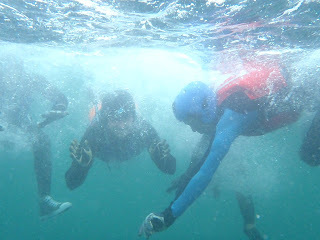 We kept as one group this week, helping to push everyone on even more. 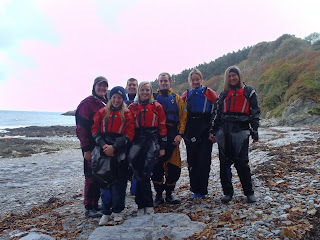 Next weeks spring tides will be ideal for what is planned! 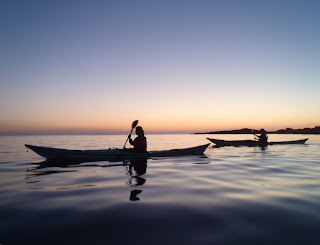 Setting out from Niarbyl Bay as the sun gave out its last bright orange glow and slowly turned to crimson and spread laterally across the whole horizon. 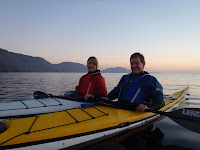 Tessa and Lee were in no hurry, so we headed offshore a little and watched as the soft spectrum of blues slipped into light grey and finally darkness settled upon us. 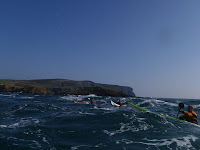 Returning to the sandy strip leading back to the tiny car park, the paddles let off the occasional tiny shimmer or flash. 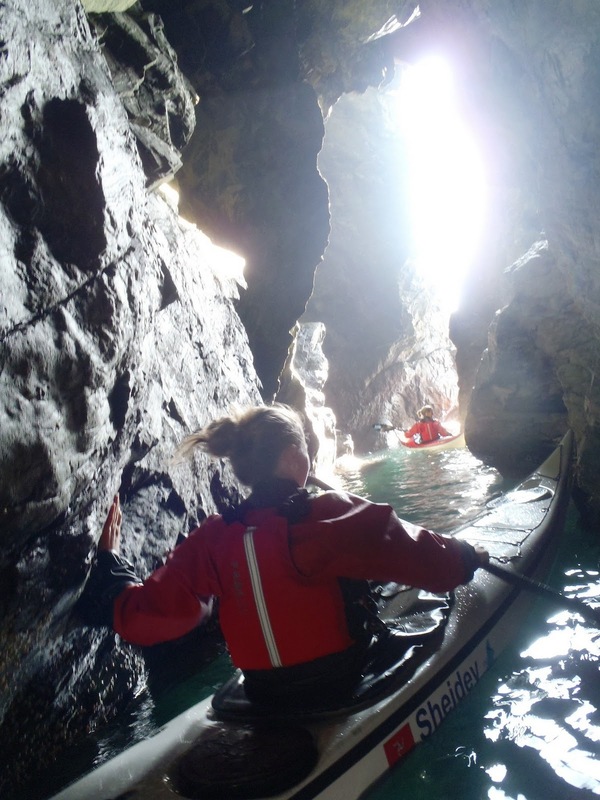 We slowed and experimented with the blades in the water, creating light displays around the kayaks. Before we reached the beach the paddles were sending vivid showers of silver and green lights rushing past and swirling behind us. 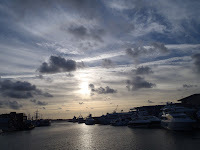 This was the perfect end to a stunning evening. 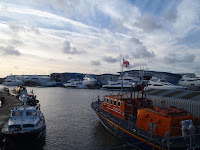 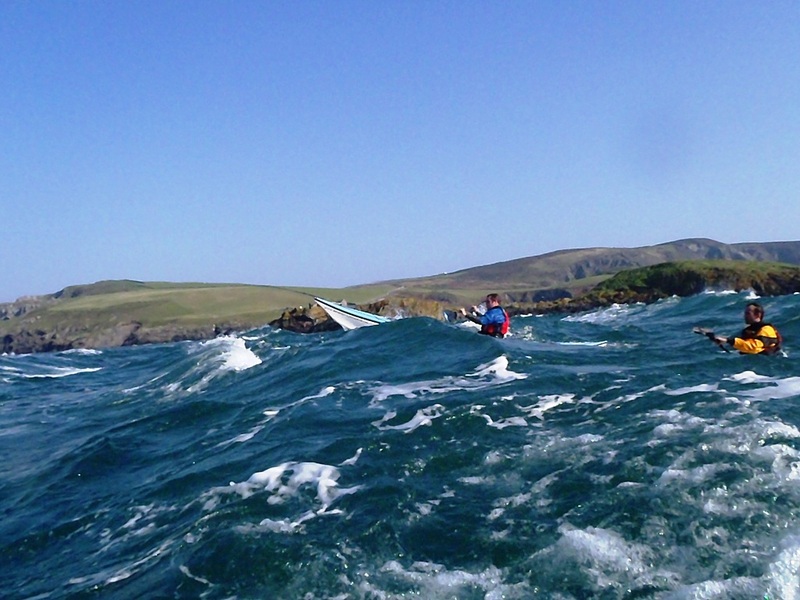 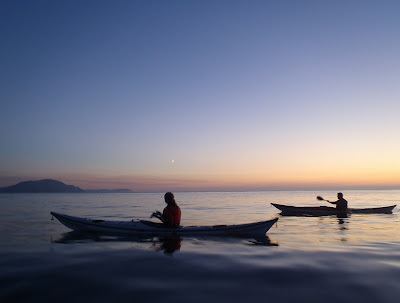 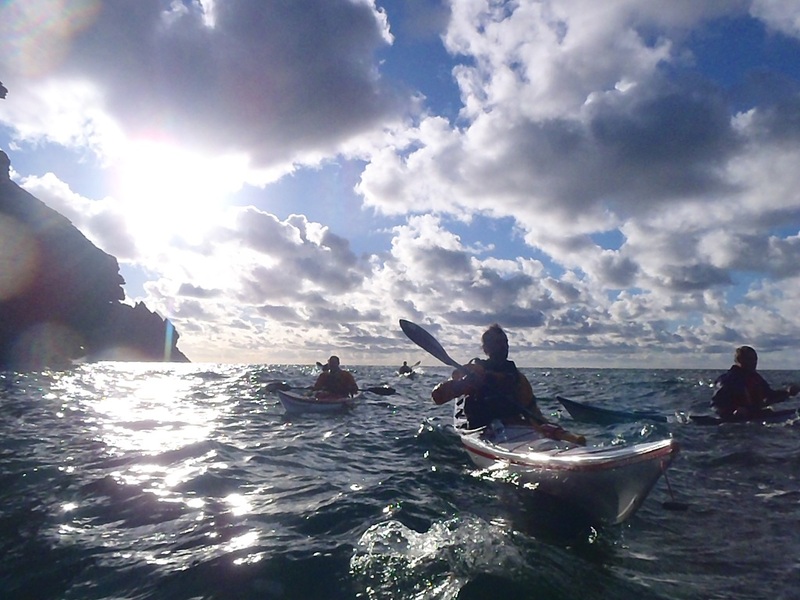 We run Evening Paddles year round, to suit sea conditions and weather. Check the website Calendar for scheduled events or contact me to book a date to suit you or your group..
Saturday's Coasteering session, around Peel Castle, on the West Coast of the Isle of Man took place with hot sunshine, 15 degrees sea temperature and interesting swell to make it a thoroughly exciting and unforgettable adventurous experience! 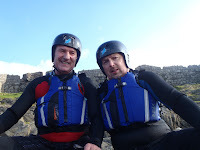 Two of our group, Tom Smart and David Hanlon, were persuaded to take part in the coasteering session when their colleagues at Fairbairn Private Bank pledged money for a very worthy cause, Macmillan Cancer Support IOM, if the two completed the coasteering route. Despite their reservations the guys faced their fears, completed every jump and found that they actually quite enjoyed themselves. 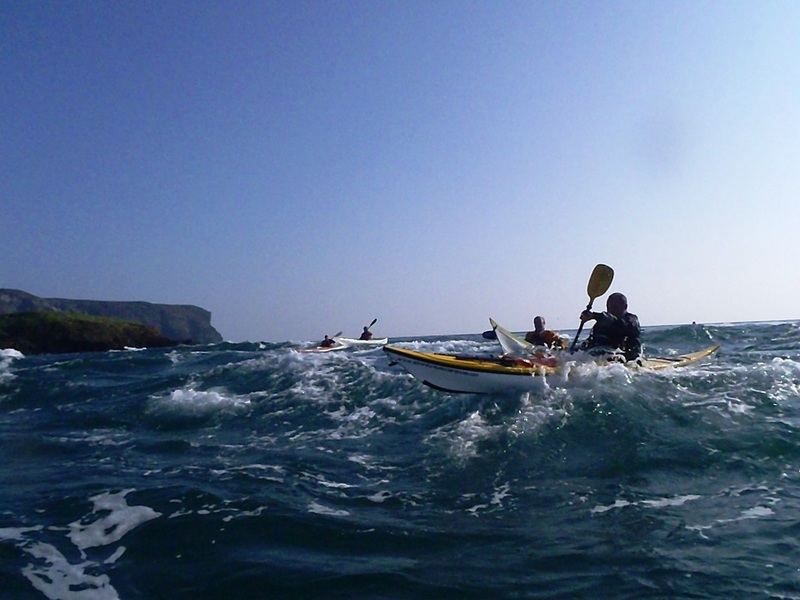 They also raised over £600 for Macmillan in the process, so well done to Tom and David! 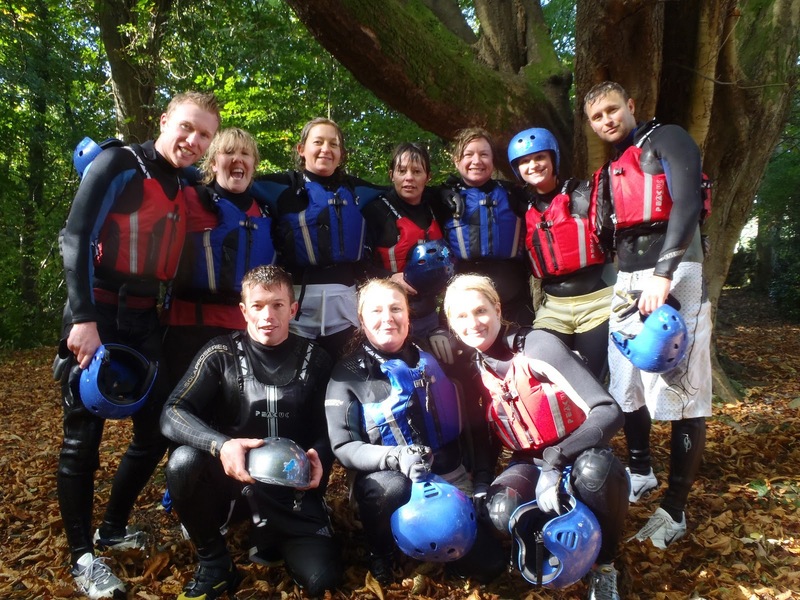 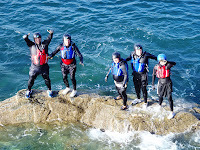 For website pages details of our Coasteering Adventures for individuals, group and Corporate Events. 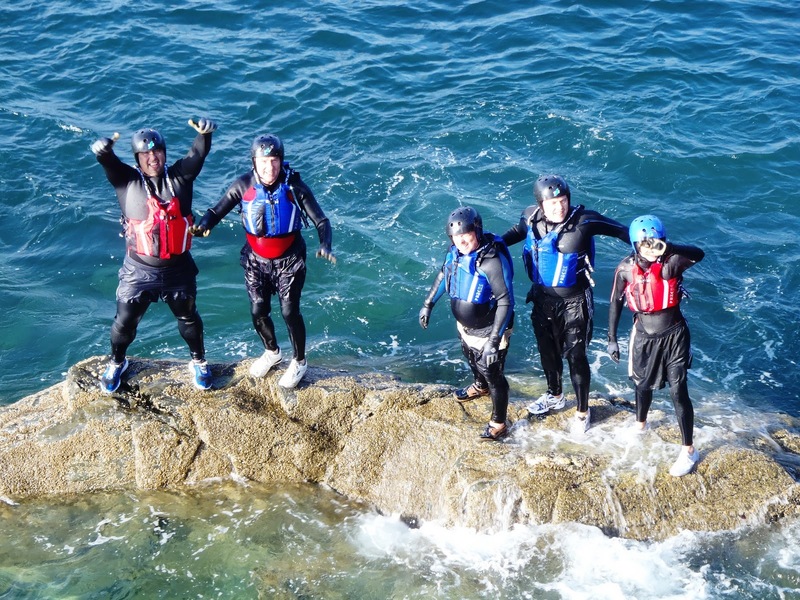 I've was at a highly productive meeting at the RNLI Headquarters in Poole last week, as part of the Coasteering Safety Working Group - chaired by the RNLI and put together experienced instructors and representatives from each area of the UK commercially running Coasteering, to agree on national best practice. Not only did the group achieve all the aims of the meeting, we all contributed towards and agreed the base level of competance required by anyone leading and providing Coasteering sessions in the UK. It was unanimously agreed not to form a governing body - as Coasteering is an activity ran by professional instructors or 'guides' and not a sport in its own right. 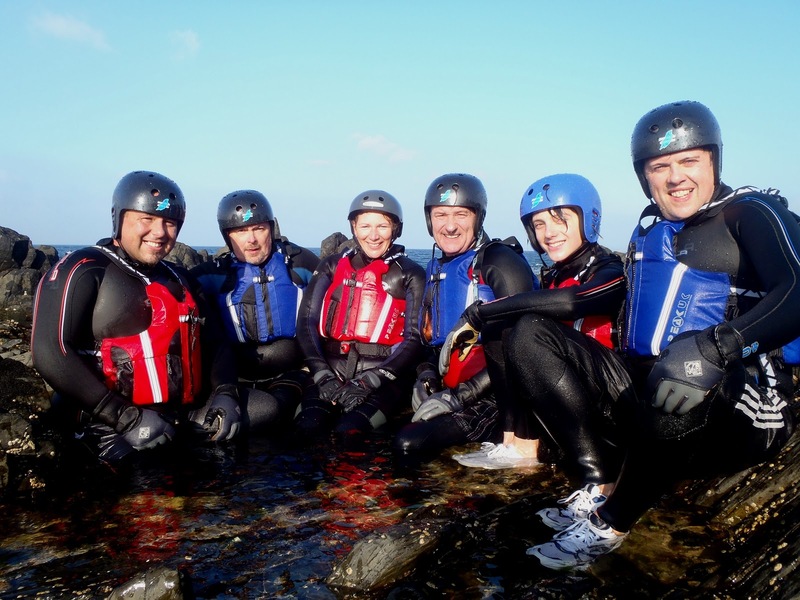 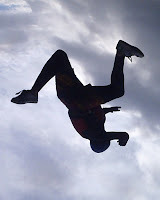 A formal 'Association of Coasteering Providers' (or similar title) will be formed early 2011, recognised by the RNLI, HM Coastguard, ROSPA, AALS. 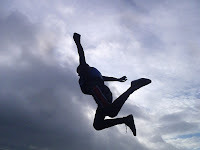 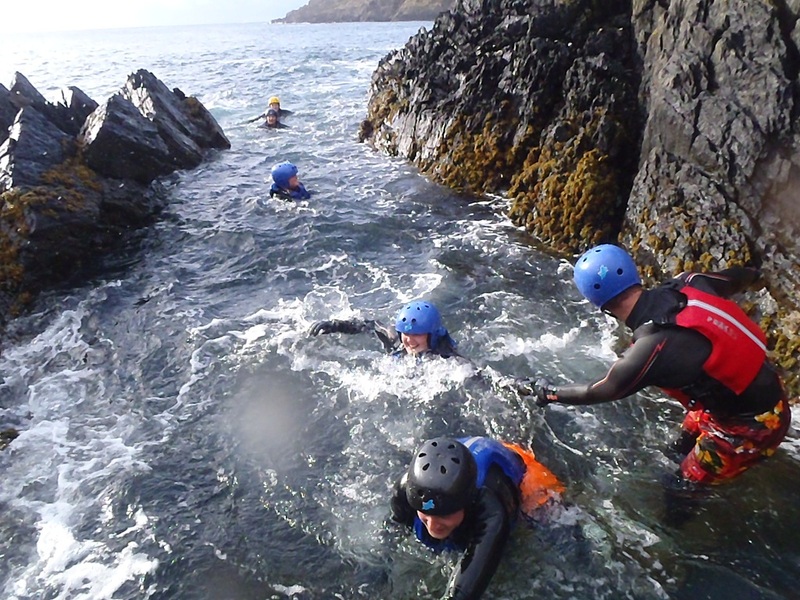 The updated guidance will also be in place at centres on the Isle of Man delivering Coasteering sessions. 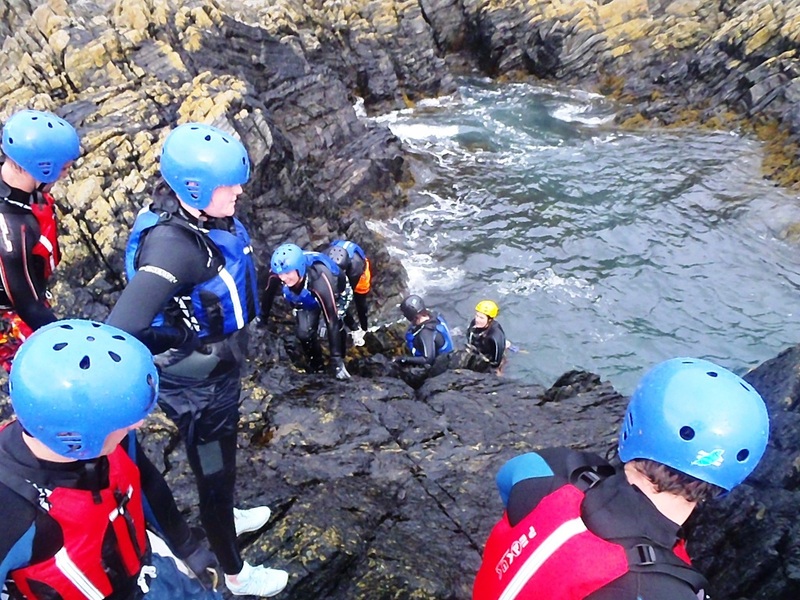 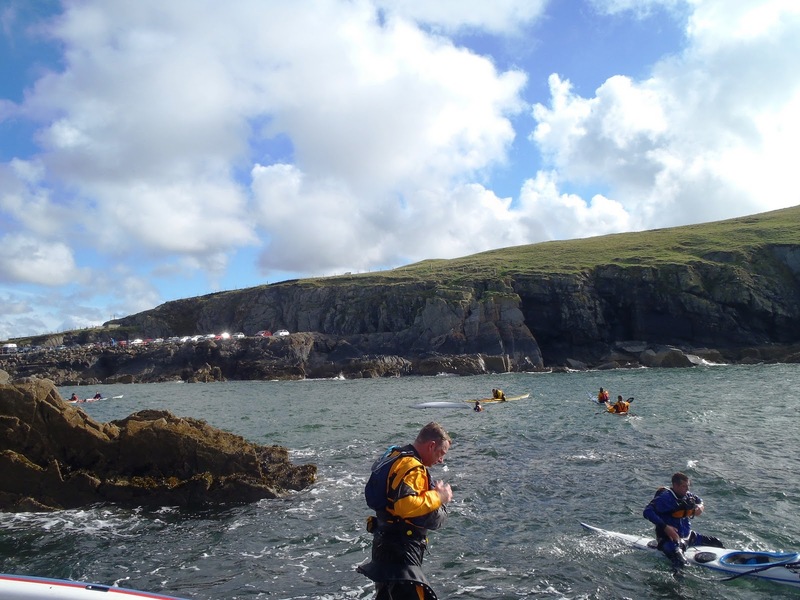 Adventurous Experiences are offering safety talks on Coasteering, and the dangers of Tombstoning (a totally separate activity condemmed by the coastguard) to the Islands secondary schools, with videos and information packs from the RNLI. 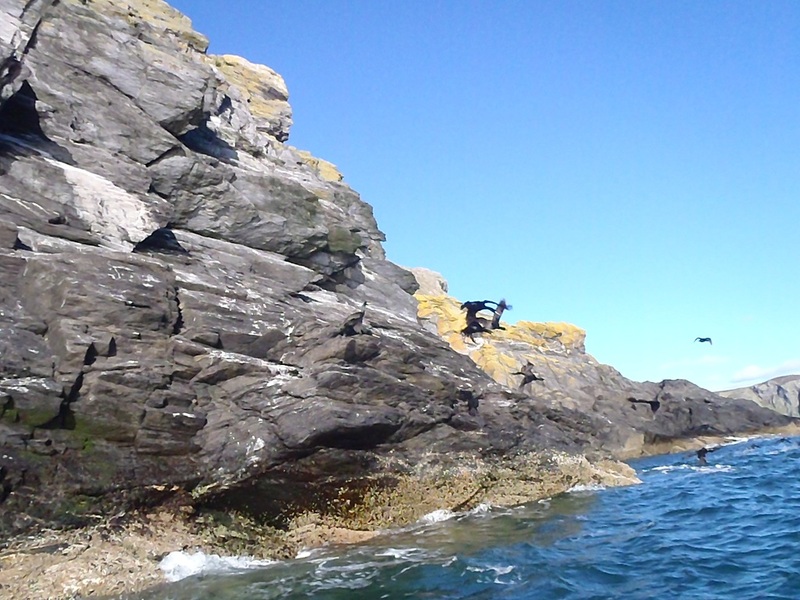 ... in the warm sunshine from Port Erin Beach today were an absolute delight! 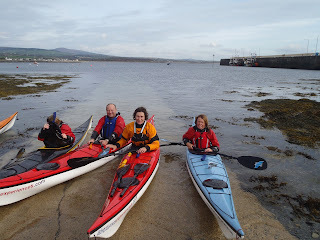 The beginners and improvers split into two groups, the one led by Janet and Neil meandered around the bay, using the natural coastline for skills exercises and progressing their 2* skills. 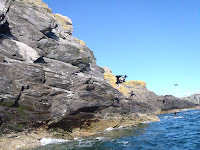 My group first headed South, then crossed the bay and explored the caverns and arch on the far side, before heading round towards the mines, and catching the other group on their way back. An on the water break of hot blackcurrent and homemade fudge and we were heading back round the steep cliffs, past the 'bits of tat' where the lads are pushing new climbing routes, and then through the arch and back into the bay, the beach soon beneath the kayaks again. Working lunch, before the Intermediates session - which is steadily growing more challenging. 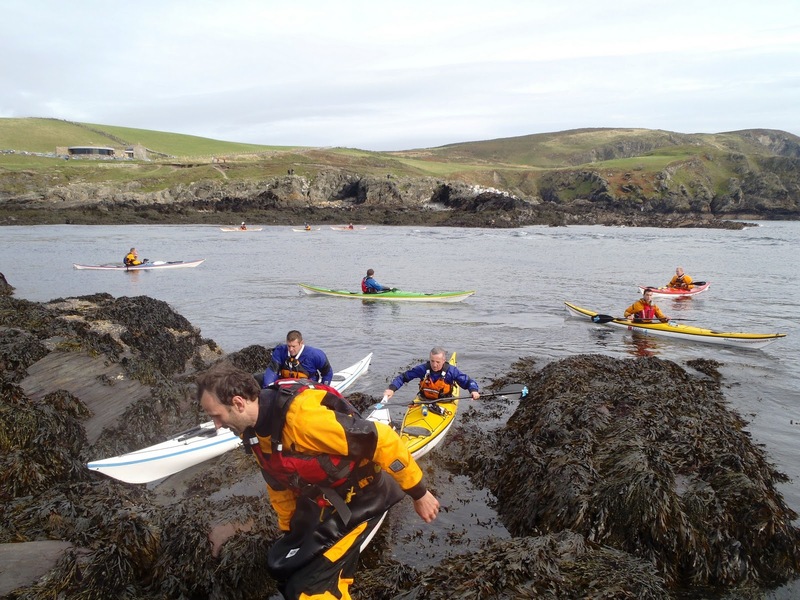 The Sound was clean and with spring tides pushing through, made for some exciting excercises! 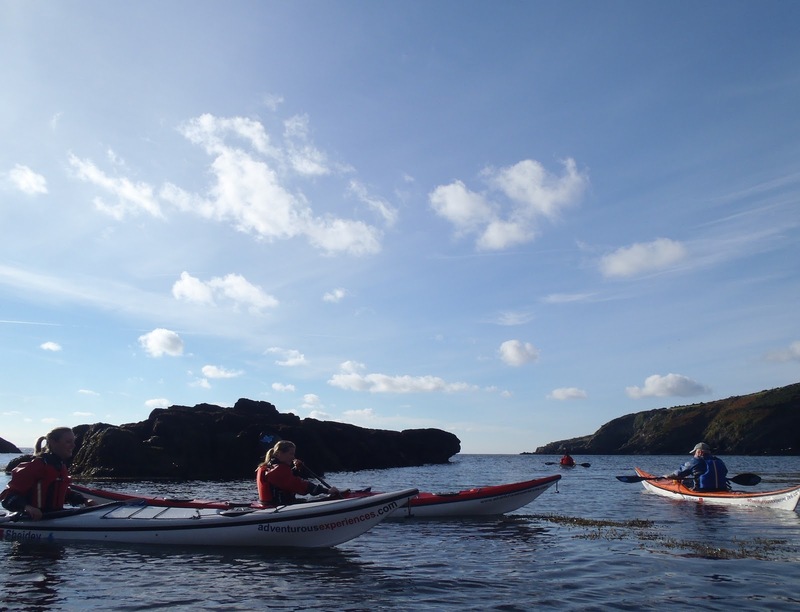 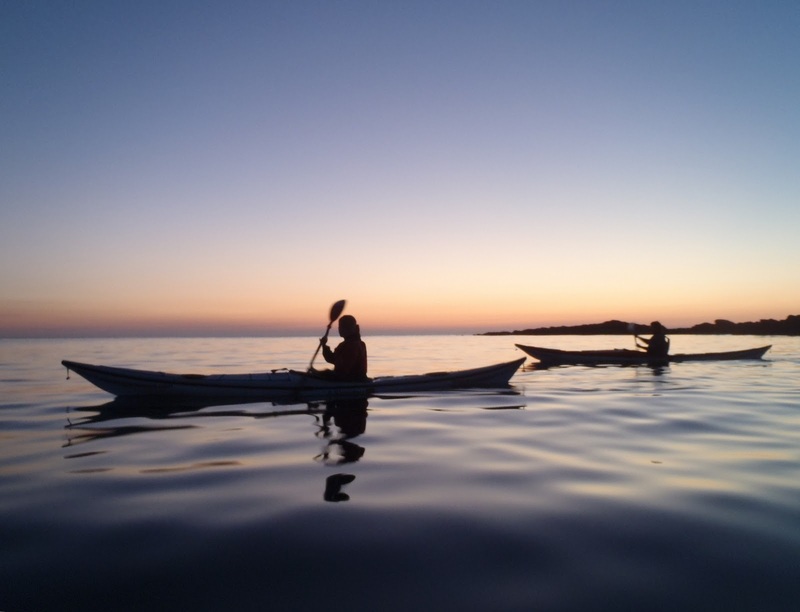 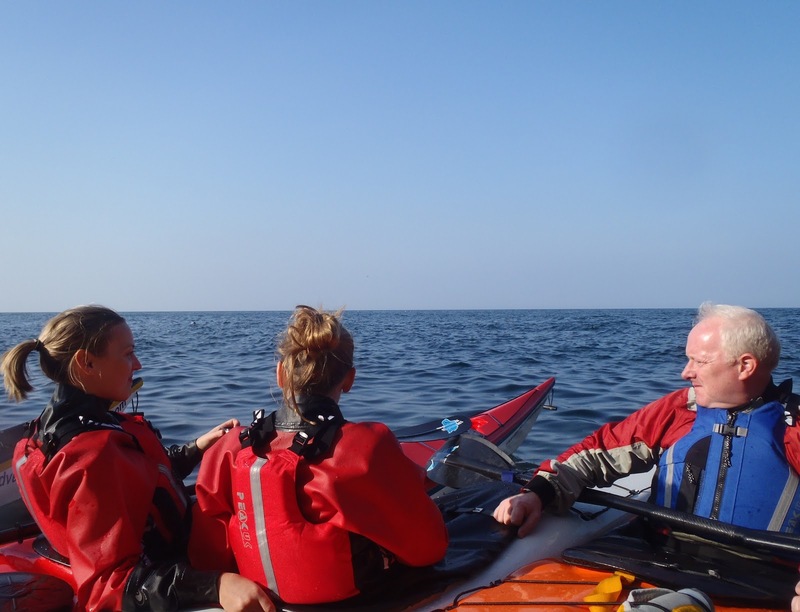 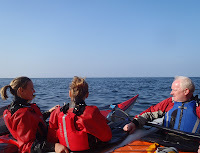 This weeks forecast is showing light Easterlie winds, so we'll put a few Sea Kayak Trips open to beginners on the website Calendar, tomorrow (Monday's) Evening Paddle should be stunning off Peel. 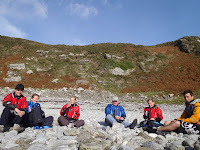 The shift towards the progressive training programs, away from summer trips and shorts and t-shirts... began with the International sea kayak training weekend (the Isle of Man Sea Kayak Symposium) last weekend, and the new 4 week block courses kicked off this Sunday in sunshine and sheltered warm water - 15 degrees! 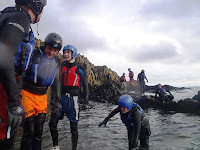 Many of the students are members of the Adventure Club, where these block courses run consectively to form our established 'progressive learning program' (PLP). Beginners (including absolute beginners) book either an indoor pool 'Kayak Safety' or 'Discover Sea Kayaking Course' on the sea can then join and progress through the club if they wish. 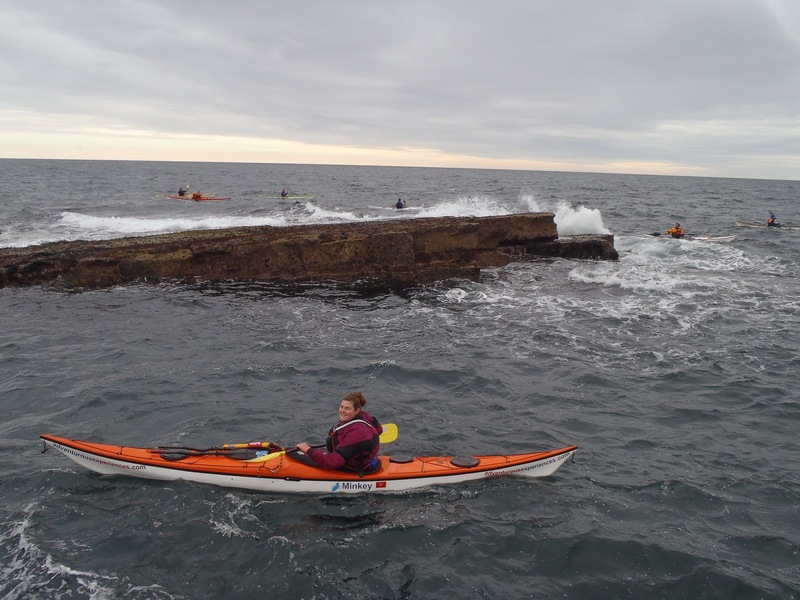 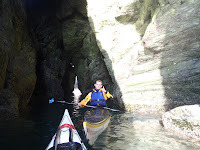 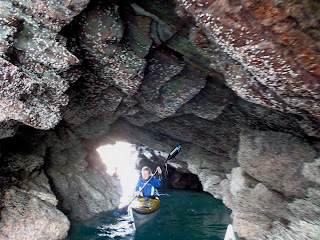 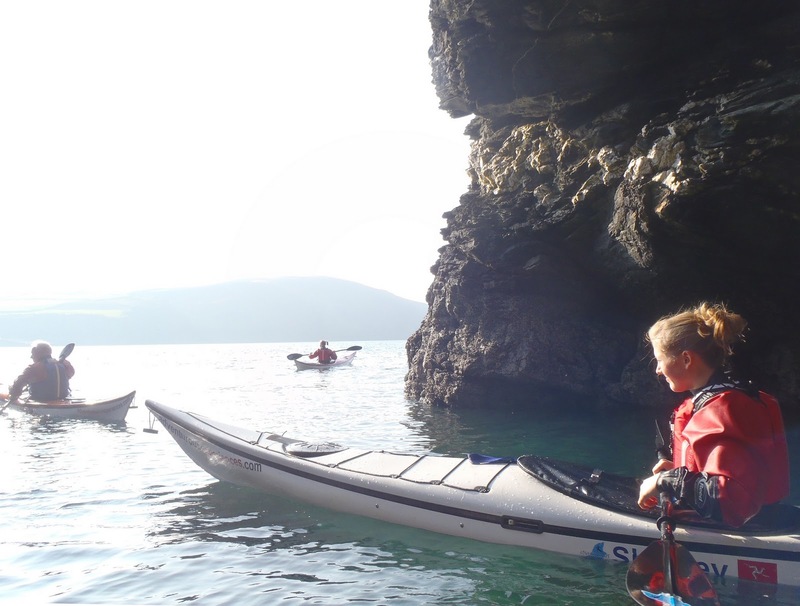 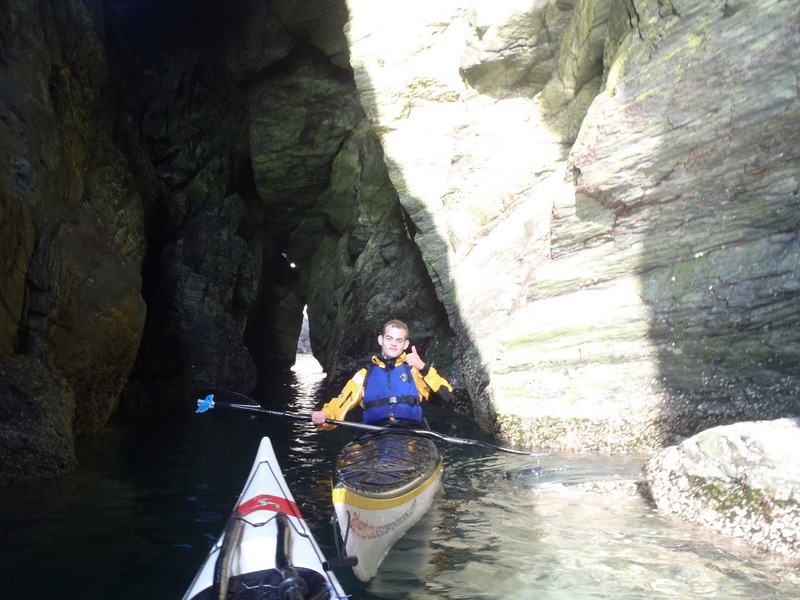 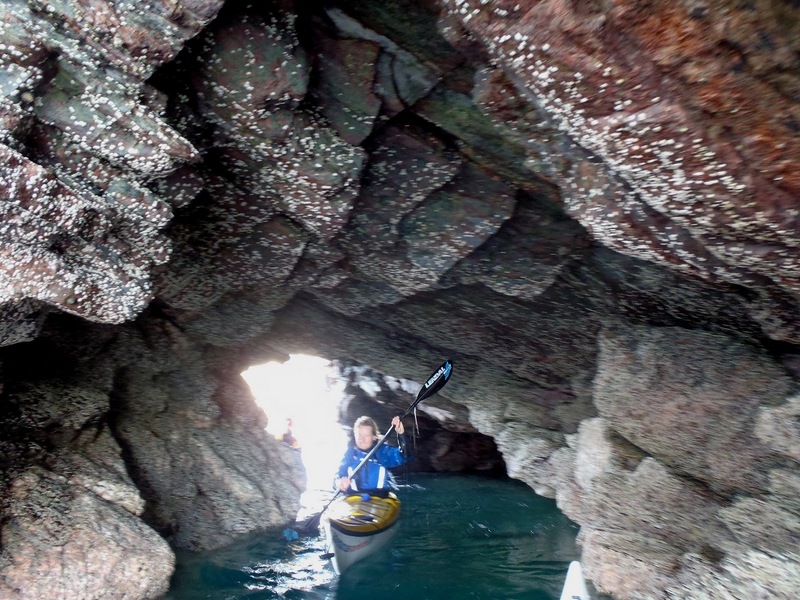 Both the Sunday morning sessions - which split into the Discover Sea Kayaking course and the Improvers BCU 2 Star training course, set out from Fenella Beach in Peel, and headed North to explore the many caves and inlets, using the super calm waters to learn skills along the way. 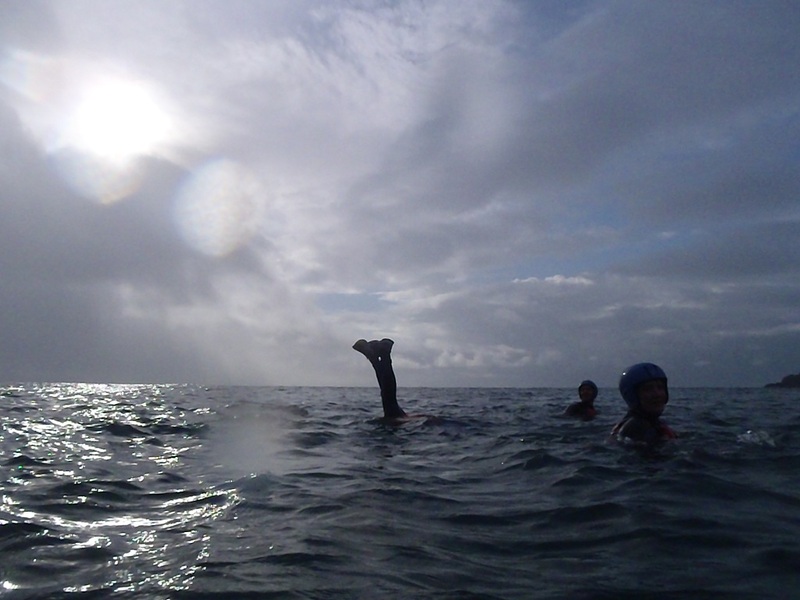 The Adventure Club Intermediates session also operated from Fenella Beach, and used the immediate area to divide into small working groups, predominantly practicing wet skills and rescue techniques. 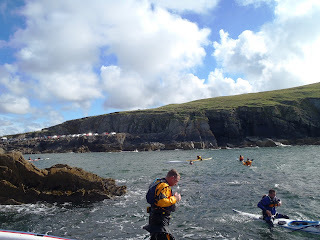 Next Sunday's sessions are scheduled form Port Erin Bay, and give the Eastlie winds forecast for the next week, its likely this will provide an excellent part 2 of the course.